The type 'GridViewColumn' was not found. Verify that you are not missing an assembly reference and that all referenced assemblies have been built. All of the Framework assemblies are already referenced. Please use the Object Browser to explore the references in the Framework. For WhyCry, when I search as you suggested I still don't get any results. Perhaps I need to use a different GridView? Maybe Windows.UI.Xaml.Controls? As you're creating Windows store apps, which is based on WinRT, while this GridViewColumn control is one of the WPF controls. Okay. 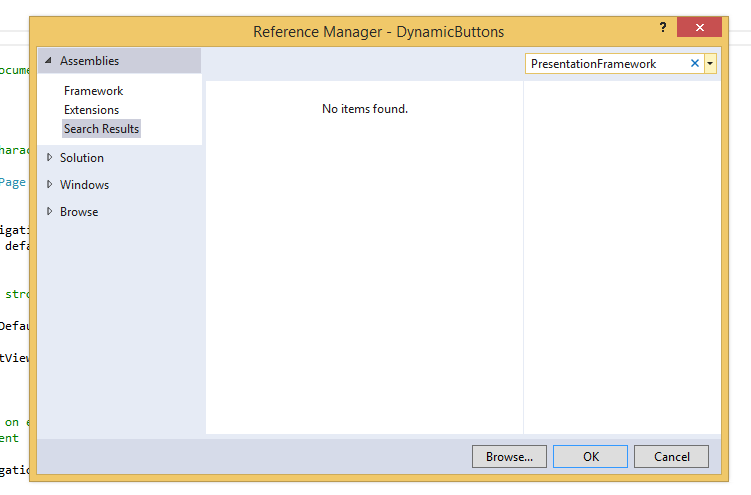 So in your Solution Explorer, Right click References, and Add Reference. Then make sure Framework is highlighted in the top left corner of the Dialog. Search for PresentationFramework in the top right search bar. Add PresentationFramework. You can then access all of the GridViewColumn variables, objects, to your hearts desire. Not the answer you're looking for? 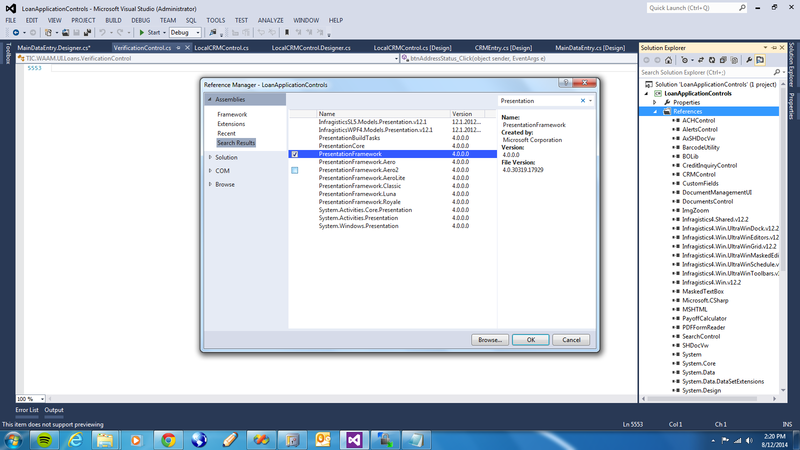 Browse other questions tagged c# visual-studio-2013 .net-4.5 assembly-references or ask your own question.